Russian researchers have found unidentified bacteria in waters of the unique sub-glacial Lake Vostok. However, this is not a sensational discovery since the microorganism was found in possible kerosene contaminated waters. The finding from the water sample taken in May 2012 showed that the bacteria do not belong to any of the existing classes of bacteria. Before the latest discovery, science knew only one species of bacteria that can live under these conditions. “The last analysis was completed a week ago - there will be another, but the results are unlikely to change anything. After exclusion of all known contaminants - extraneous organisms - bacterial DNA was detected, which does not coincide with any of the known species in the world,” RIA Novosti quotes Sergey Bulat of the St. Petersburg Nuclear Physics Institute in Russia. However, the discovery turns out not to be that sensational. “There has been one strain of bacteria which we did not find in drilling liquid, but these bacteria could in principal use kerosene as an energy source,” the head of the laboratory of the same institution, Vladimir Korolev said. "That is why we can’t say that a previously-unknown bacteria was found,” he stressed. 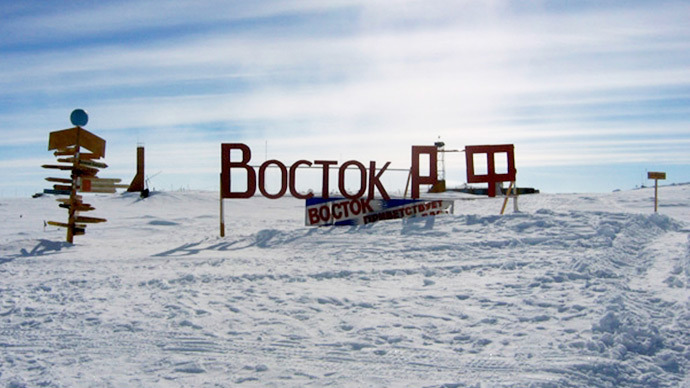 In February 2012 Russian researchers became the first in the world to reach the waters of Lake Vostok after more than decades of drilling work. This year, on January 10, scientists came up with another record. 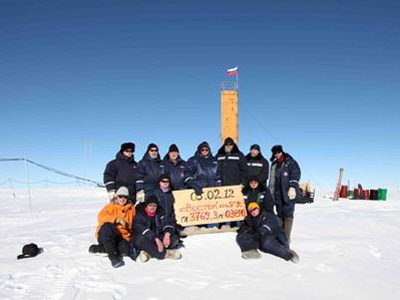 They managed to reach the fresh ice at a depth of 3383 meters and took samples at 3,406 meters. Ice formed as the water from the lake rose into the hole due to upward-pressure in the crack researchers drilled last February. 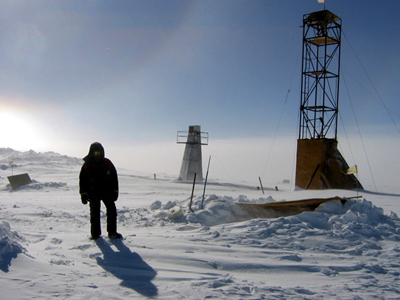 Last year Russian scientists managed to drill through 3700 meters of ice, reach the surface of the lake and take 40 liters of prehistoric water. 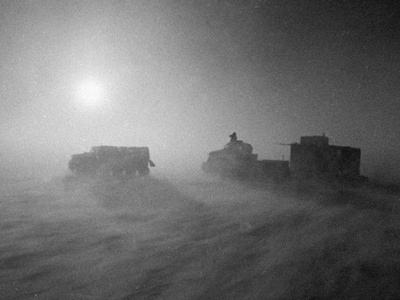 However, those samples, scientists said later, were not clean enough to prove the existence of any kind of life – the water contained some substances of drilling liquid, kerosene and Freon, used while getting through the thick ice. As recently as March 1, Russian researchers successfully obtained fresh ice samples from the lake as the work continues there. They said it would take months to clarify whether life exists in the fossil water below the 3.5-km deep glacier. All water samples will be brought to St. Petersburg in May on board the research ship Academic Fyodorov, which is currently working in the Antarctic. Russian specialists, supported by their British counterparts, discovered Lake Vostok back in 1996. Sonar and satellite images later proved the lake to be one of the world’s largest freshwater reservoirs. With its area reaching 15,000 sq. 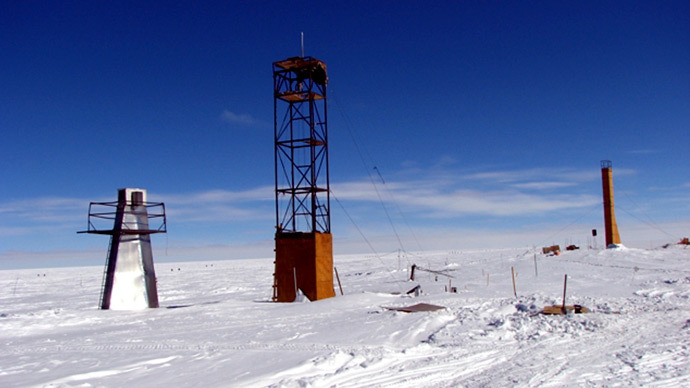 km and a depth exceeding 1,200 meters, Lake Vostok is one of the biggest among 370 sub-glacial lakes in Antarctica. In 1998 scientists had to halt the drilling just 130 meters from the lake’s surface after alarming concerns the ancient and unblemished waters risked being polluted if special precautions were not taken. The relevant technology was developed only in 2003 in St. Petersburg. Work resumed in 2005 after further tests. 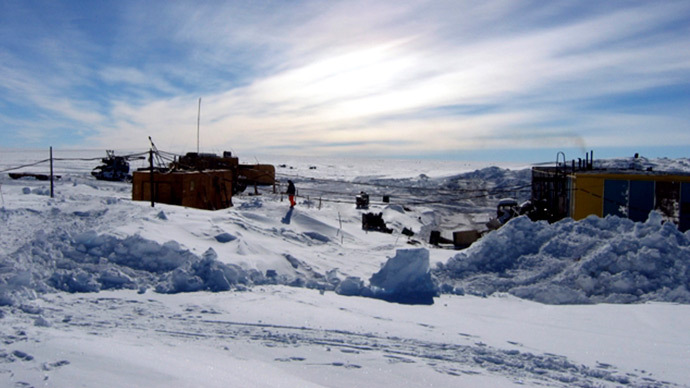 The Lake Vostok Station drilling project is one of several Antarctic drilling experiments. Most of them however focus on extracting the ice cores, which provide valuable data on the climate conditions of past eons. American researchers managed to drill through 800 meters of ice and reach the sub-glacial Lake Whillans in late January. They sampled water and sediment ice from the lake’s bottom, with initial analysis indicating presence of microbial life. A British team attempted to drill into the Lake Ellsworth and collect samples of sediment from the bottom. This effort was postponed last December 2012 after the scientific team found that its novel hot water drilling technology didn’t work as well as they had hoped.